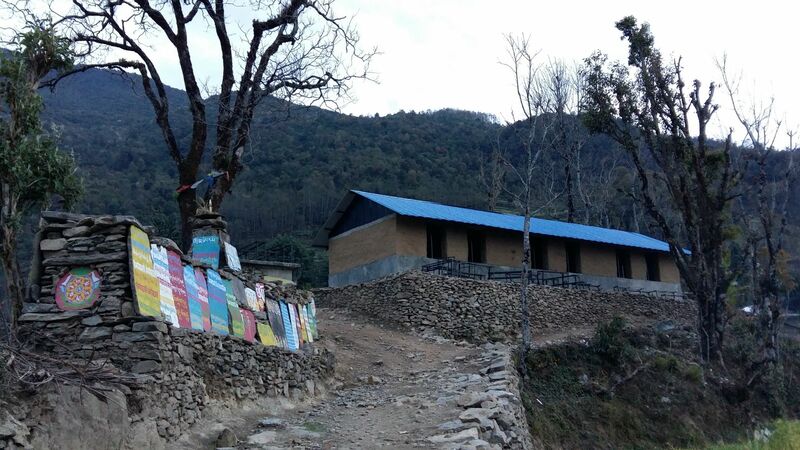 Colorado Nepal Alliance is proud to announce that the first replacement school building in Kuri (Darkha VDC) has been completed, and school children and their teachers moved in to the building in late March, 2016! The building houses three of the smaller classes. New tables and benches were supplied, as well as white boards for the teachers. Students and Teachers are all smiles as they celebrate the opening of their first school building rebuilt after the 2015 earthquake. 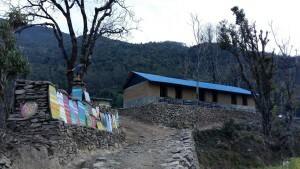 Architect Ajay Magar of Landmark Architectural Design created a school building that uses local materials, but is additionally strengthened with reinforced concrete tie beams at the plinth, sill, and lintel levels. 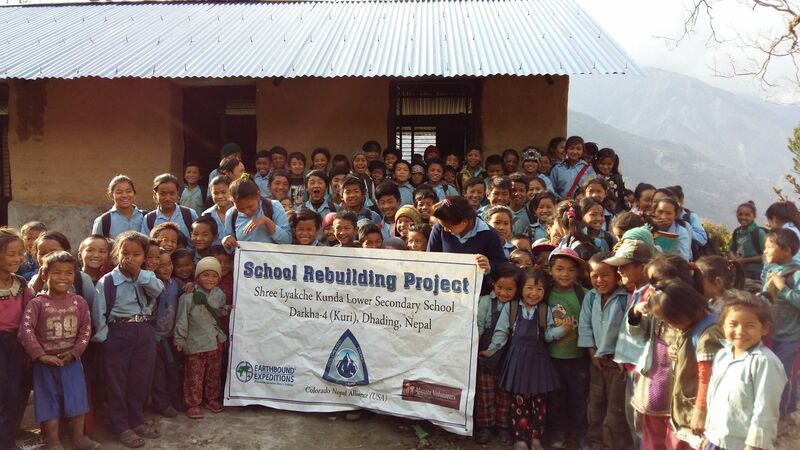 Local builders were taught by the project overseer to build safer buildings with enhanced stone work. It is hoped that these building skills will also be used when they rebuild their own homes. The three room building cost just under $15,000 for materials and local labor, which does not include the salaries of the overseer or project manager. Contributions from generous donors from Colorado and throughout the world made this work possible.